Editor's note: The water boil advisory was lifted for all D.C. residents on Sunday. If you live in D.C., you may have to boil your water. DC Water is advising tens of thousands of residents and businesses in a major portion of the city not to drink or cook with tap water without boiling it because of a contamination risk. As News4 was first to report, a problem with the water system that began Thursday night made it "possible for contaminants to enter the water" in parts of Northwest and Northeast D.C., the utility said in a statement early Friday. Officials detected a water pressure drop about 8:30 p.m. Thursday and issued an emergency alert about 4:35 a.m. Friday. Authorities say there is no information indicating that any water was contaminated; the "boil water advisory" is a precaution. 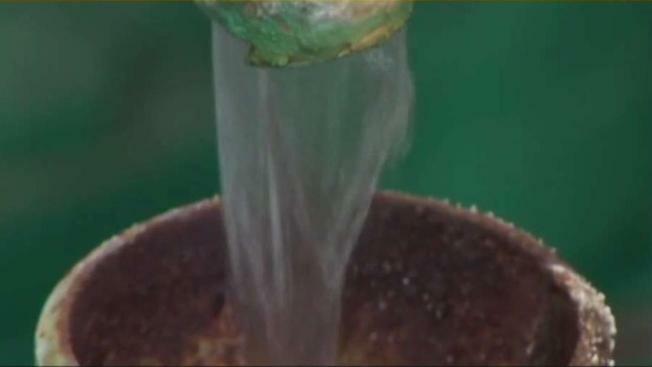 DC Water says it is safe to bathe and shower, but to avoid swallowing the water. An estimated 34,000 DC Water customers — including in downtown D.C. — initially were affected, spokesman Vince Morris said. The total number of people affected was likely much higher; residents of an entire apartment complex can be counted as a single customer. About 12:15 p.m. Friday, DC Water announced that they reduced the area in which they are advising people to boil their water. The new area appears to be smaller. However, a swath of land to the west, near the Maryland border, has been added. Information was not released immediately on the reason for the change in the map. Zoom in on the interactive map below to see if your home, workplace or day care is affected. This second map by News4 shows the area initially affected. Even if you don't live in the zone shown on the map, DC Water says you should boil your water if you had no water or low water pressure after 8:30 p.m. Thursday. Anyone who did drink the water should be conscious of any stomach problems, D.C. Health Department Director LaQuandra S. Nesbitt said. She said it is OK for mothers to breastfeed if they drank the water. The health department issued a long list of rules that restaurants in the advisory area must follow, including not serving tap water unless it has been boiled, using "bottled water or water from an approved supply for hand washing" and refraining from using any drink dispensers that are attached to the water supply. Any establishment that cannot meet the requirements was told to temporarily close. With temperatures in the 80s, D.C. officials have closed all pools, spray parks and water fountains in the affected areas. Bottled water is being delivered to people living in homeless shelters, including in motels. All hospitals in the affected area have backup water plans. The advisory sparked fear and confusion among some city residents, who asked why they learned of the problem on social media and from news reports rather than from DC Water or the city government. DC Water General Manager David Gadis said the utility tried their best to notify customers using using robocalls, emails, their website and social media. "I think that we did everything that we could," he said at a news conference Friday morning. On social media, a number of people reported having trouble early Friday accessing the DC Water website, which showed who is affected and what to do. A tweet from the DC Water account said their site was not working in the web browser Safari. News4 had intermittent trouble loading the site in that browser as well as in Google Chrome. In an attempt to fill the gap, screenshots of the information on the site was posted on DC Water's social media accounts. The D.C. Homeland Security and Emergency Management Agency, Mayor Muriel Bowser and the D.C. fire department warned residents of the problem via Twitter, and the city issued an email about 4:35 a.m. through its AlertDCsystem. Only people who sign up for the alerts receive them. The problem began because a valve was found to be open about 8:30 p.m. Thursday at the Bryant Street Pumping Station, east of Howard University. That resulted in a dramatic loss of pressure that made contamination possible. Sections of Northwest and Northeast D.C. had no water or low water pressure for about 66 minutes Thursday night, Gadis said. A DC Water spokesman told News4 later that night that water had been restored and the problem had ended. DC Water is investigating the cause of the open valve, which occurred as maintenance was underway. Officials are testing the water to be sure it's safe. "We don't know yet what the tests will show but we hope that it will all come back negative," Gadis said. The advisory is expected to extend into at least Saturday, the utility said. The resolution of the problem initially was expected to take longer.